The High Performance learn to swim program is divided into 6 levels. The High Performance Swimming Club goal is to teach pupils to swim, be confident in the water and develop their swimming skills, building water confidence, teaching skills such as floating and learn water safety skills. Pupils will learn the four major strokes, front crawl, backstroke, breaststroke and butterfly. Once a swimmer has reached Level 6 of the Learn to Swim Framework the swimmer is ready to join the first level off our swim squad program. After the swimmer has finished this level, they will be able to enter and exit the water safely. They will be confident in the water, have no difficulty putting their face inside the water and are not troubled when showered with water. The swimmers are able to float on their front and back (with or without a flotation device) and move through the water and be able to bring themselves into an upright position from either lying on their front or on their back. In this level the basic safety rules for in and around the swimming pool will also be taught and followed. In this level the swimmer the swimmers will start practicing jumping into the pool as well as learn how to push and glide from the wall on their front and back. Blowing bubbles is a main part of this level and not only from their mouth but also being able to blow bubbles through their nose. The swimmer will also have learnt and be able to move through the water for at least 5 metres forwards and backwards. Safety rules, safe entries and safe exits are continuously made aware of throughout the lessons. At the end of this level the swimmer will be able to jump into the deep end confidently. The push and glide in this level will be more advanced as the swimmer will be using the streamlined position. As well as using the streamlined position the swimmer will be able to roll on their front or back underwater. In this level the swimmer will also be taught the basic of tumble turns, rolly poly, and have no problem picking up objects from the pool floor. The children will also be practicing to swim further in the water and in level 3 the swimmers will need to be able to swim at least 10 metres. In this level the children will be taught how to start kicking properly for frontcrawl and backstroke with a kickboard. The amount of lengths that the swimmers will be doing with the floats will gradually increase throughout the level. After each length the child will need to try and perform a tumble turn so that they can be improved. Swimmers will also be practicing the full styles and learning the technique through certain drills. In the frontcrawl swimmers will start being taught how to breathe on their side. In this level the basics of breaststroke kicking are introduced. During this level the swimmers will be taught the four competitive strokes. The frontcrawl and backstroke will be worked on most and will not only include kicking but also the full style for at least 8 lengths. Also the full breaststroke will also be taught including the pull, kick and glide, which should last for about 3 seconds. Basic drills for butterfly will also be taught throughout this level. 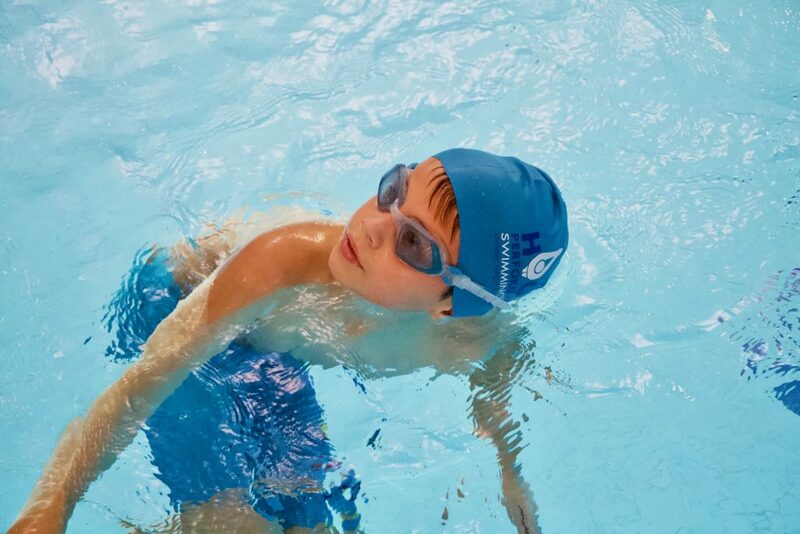 More drills will be taught and the children will be able to swim lengths non-stop as they are able to do a complete tumble turn and push of in a streamlined position. Breathing on each side for the frontcrawl will also be focused on throughout the level. The swimmer will learn how to perform a dive. The Mini Squad is the first squads. the Mini sqluad is for those who have completed level 6 of the Learn to swim sheme. Pupils attending this Squad will improve the competitive strokes, front crawl, backstroke and breast stroke and butterfly and will learn the drills for each stroke. Swimmers will also learn the starting dive and all turns and will improve stamina and we will help them to develop the love of the swimming sport. Pupils are required to swim at least 2x per week. These classes are 1.5 hour long. This level is the final level before swim squad. Here swimmers will be preparing to enter the development swim squad. Swimmers will now know all the basics of each stroke. They will also know a wide range of drills that will be used and will developed further within the swim squads. Swimmers will be able to swim frontcrawl and backstroke for at least 200m non-stop. Swimmers will know how to complete a touch turn for breaststroke and butterfly and tumble turn for frontcrawl and backstroke. They will also have more practice with diving from the block and swimming fast.